What I'm asking about is the blue in twitter bootstrap framework and other similar frameworks. It seems to become a sort of trend now. Not sure if it's just me but I feel those buttons are too screaming (but not in a good way), don't provide good contrast to the usually-white text on them, and are not very nice enough to be such a common thing. I would understand if they were like facebook primary buttons (calm, clear, even though it's not gradient, etc) which are also blue but look nicer. So, the question is, are those buttons considered nicer to users for certain reasons? 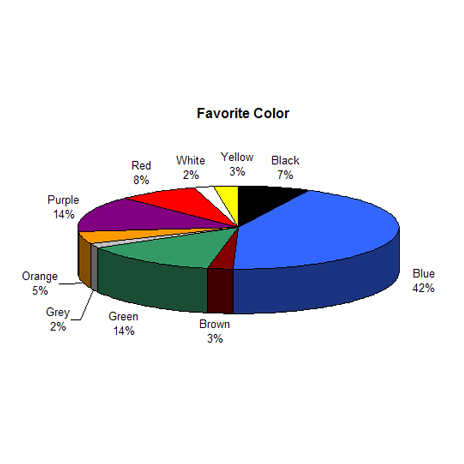 Blue is the most common Favorite Color, which has been backed up repeatedly. In addition to being the most popular color, blue just works well. Backgrounds are often white or black, and blue works on both. Blue is a friendly color for most common forms of colorblindness as well, as it doesn't mix in with any other colors in red/green deuteranopia colorblindness. Contrast this with other colors; yellow is terrible on white and too loud on black, orange can be too harsh on the eyes, red seems urgent, green you have to be careful with...blue is an extremely safe color, which is probably why very many companies have taken to blue logos. As a side note, Facebook is blue because Zuckerberg is red/green colorblind, so some blue use might be due to copy-cat-ism, but there are still very good reasons to favor blue when no other color is clearly superior. I think it depends on your use and your users. "Nice" is relative to the target audience. The twitter bootstrap framework and look basically provides a clean and simple design free of clutter or noise. It is more of a web 2.0 feel and is common in web apps and mobile apps. I think the blue is just a simple clean color that is calming and draws your attention without being obnoxious. It also just happens to be the color twitter uses in all of it's logos. Blue seems indeed asociated with web 2.0. Along the way, under the infuence of Facebook as well, blue apparently picked up an association with web 2.0. Which means that if you're now launching a web 2.0 framework, blue is a good color to go with. In other words: people associate blue with certain concepts. But its not as if the concepts are inherently associated with a color. The implication being that you decide if blue works for you or not. You can follow the herd, or you can go your own way. As for contrast: a contrast is not a quality of a single color. Instead, a contrast is a feature of a relation between two colors. So there's not much to be said about the contrast of blue. A similar contrast to white on blue could be achieved with yellow on black for instance. Your choice is more about your personal preference than anything else. Unless you have to deal with a brand identity, off-course. Not the answer you're looking for? Browse other questions tagged forms color call-to-action or ask your own question. Reason that most (business) applications have a blue theme? Using faces in call to action buttons, good or bad? Color Emotion Naming Convention Standard?